“Now the truth is that there’s always been an audience for fear and to a certain extent newspapers, the media who want large audiences, will play to that gallery." 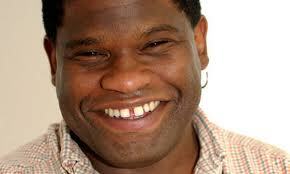 Gary Younge is an author, broadcaster and award-winning columnist for The Guardian, based in Chicago. He also writes a monthly column, Beneath the Radar, for the Nation magazine and is the Alfred Knobler Fellow for The Nation Institute. He has written three books, "Who Are We - And Should it Matter in the 21st Century? ", "Stranger in a Strange Land: Travels in the Disunited States" and "No Place Like Home: A Black Briton’s Journey Through the Deep South". Gary has made several radio and television documentaries on subjects ranging from the Tea Party to hip hop culture. Gary Younge on immigration in the UK and US and the role of the media. America, perhaps more than any other country was built on immigration and Britain as an island and former empire has a long history of migration in and out of the country. What do you think of the negative focus of sections of the media in both countries on immigration? “Well, it’s not new. I mean, I think so as long as there have been immigrants, regardless of their colour actually. Whether they were Huguenots or Jews, or Caribbeans, there’s always been tension or negative portrayals I guess and the nature of those portrayals changes depending on the group and the time." “So, if I think of when I was growing up the way that immigration was portrayed people would say to people of Caribbean descent, ‘Why can’t you be more like Asians?’ There weren’t any Muslims then, people didn’t talk about Muslims, they just said, ‘why can’t you be more like them?’ Then the stereotype was Asians work all hours that God sends, they don’t want to mix with us, they don’t want to date with our women, they keep themselves to themselves – that was the phrase you would hear time and time again. "Then you fast-forward another 30 years and you are in the middle of debates about terrorism and immigration and they’re saying to Muslims ‘why do you keep yourselves to yourselves?’ – now they are Muslims, not Asians – ‘why do you keep to yourselves?, why won’t you mix with us, why won’t you marry our daughters, why can’t you…? And so the focus shifts from colour to culture and from race to religion." “More recently and this has happened, I noticed it in the time I’ve been away, I’ve been away ten years now, the dominant migration debate isn’t about race actually, I mean it’s racialised but it has been about Eastern Europeans and Poles and Romanians. If we think back to Gillian Duffy, when Gordon Brown bumped into her in Rochdale; she lives in a town where there’s been a huge increase in the number of both Muslims and Bangladeshis and she’s worried about Eastern Europeans." “Now the truth is that there’s always been an audience for fear and to a certain extent newspapers, the media who want large audiences, will play to that gallery. And the truth is also that some of those fears are grounded in real things that we shouldn’t dismiss, which are resources. If your school suddenly has an influx of a large number of people with particular language needs or dietary needs or whatever it is, then that is a cause for concern. But the concern should be about resources and not about the people. "If you are struggling to get a council house, or any kind of house – I know that council houses still exist but I remember when I was growing up people would put their name on the list and actually expect to get a house, whereas these lists now I think just appear to be full." “So here are these people, suddenly visible…and the easiest message is ‘they have your stuff’. A more difficult message is ‘join with them and fight for resources.’ ‘We need more resources.’ ‘We need a better school, we need more teachers, we need more housing’ and it’s long been the retreat into a kind of very narrow, exclusive identity, a mythological identity actually, of white Englishness as being something pure and besieged. That’s where a certain kind of politician goes, that’s where a certain kind of media will follow." “That’s true here in America too. There are two main differences between the U.S. and Britain. The first is that America has never understood itself as a ‘White’ country purely. I mean African-Americans were here before the pilgrims, and before the pilgrims and the African-Americans there were the Native Americans. So if you’re looking for a real debate about immigration historically, you would start with the settlers and move on. America’s immigration debate has never been understood purely in racial terms, whereas in Britain, until recently, it has." “The second is that pretty much every American, apart from the Native American, can refer to a land mass outside of America from which they came. And that informs American mythology, that even when you’re with the most rabid anti-immigrant stalwart they will still kind of make a pitch for immigration, a certain kind of immigration. Because immigration still speaks to all these dominant myths, class fluidity, reinvention, all of those things that are kind of dear to America."